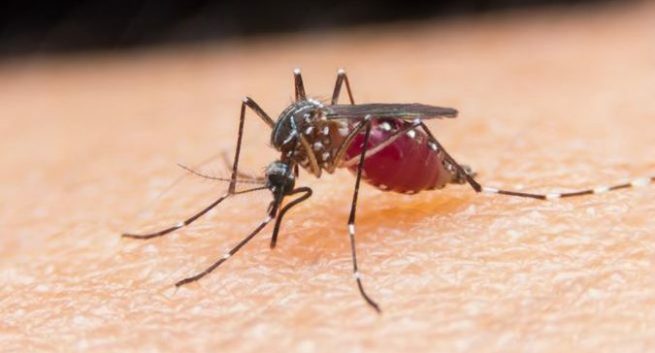 KARACHI: This year’s first death from dengue fever occurred at Karachi’s Jinnah Postgraduate Medical Centre (JPMC) on Tuesday night where an 80-year-old woman succumbed to the deadly virus. An elderly woman, Akraman Mai, resident of Surjani Town, Karachi, was admitted to the JPMC a few days ago where she was diagnosed with dengue fever. The medical staff confirmed that the woman died of dengue fever during treatment. JPMC Executive Director Dr Seemin Jamali told media that the elderly woman was suffering from multiple diseases, including dengue, and died of dengue. However, Dr Abdul Rasheed Sheikh, Program Manager, Prevention and Control Program of Dengue in Sindh, did not confirm the death to be caused by dengue fever, citing that the program management had not received any report from the JPMC administration so far. “In 2017, a total of 12 people, including eight male and four female, died of dengue fever in Karachi out of which five were from dengue and seven others from multiple diseases including dengue,” he added. As many as 10 more dengue fever cases were detected across Karachi in a week, taking the reported toll of cases to 216 in the city since January 1, 2018. According to the weekly report issued by Prevention and Control Program for Dengue in Sindh, at least 10 new dengue fever cases surfaced across the city in a week. No case was reported from other parts of the province. A total of 229 dengue cases have been reported throughout Sindh, including 216 in Karachi and 13 in the rest of the province.